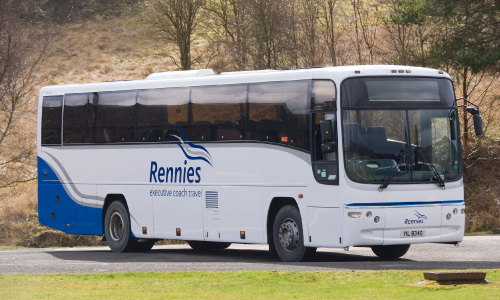 Established in 1947 in Dunfermline, Rennies has over 70 years’ experience as a coach hire company, providing luxury travel solutions throughout the UK and Europe. 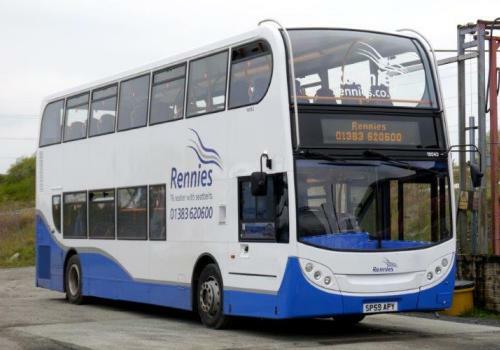 We have over 50 vehicles available for hire in our fleet, and all of our vehicles have seatbelts fitted as standard. 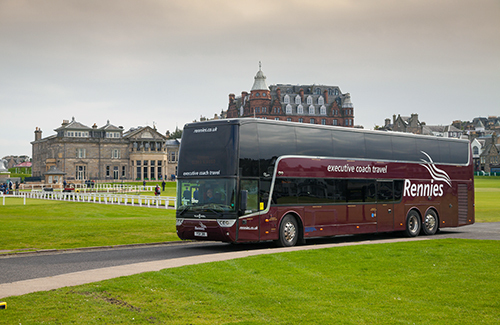 Our fleet consists of 41/49/55 seat standard and executive coaches, 64/70 seat coaches, ideal for groups of children and 76 seat double deck vehicles ideal for larger parties. 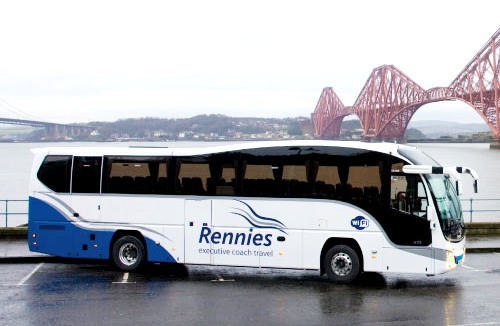 Our team of highly experienced drivers are helpful, friendly and happy to cater for your journey. We pride ourselves on being flexible when it comes to arranging your hire. Let us take all the pressure off driving and parking, and transfer you in comfort to your destination and home again. We offer our customers the opportunity to specify collection and drop off points to tailor your journey. On board refreshments can be arranged on request ensuring the highest quality of service. Booking is easy, call our team on 01383 518660 or complete the enquiry form below for a quote.